Minneapolis writer and poet Bao Phi has won the prestigious Charlotte Zolotow Award for best picture book published in the country. His book, "A Different Pond," was illustrated by Thi Bui and published by Capstone. 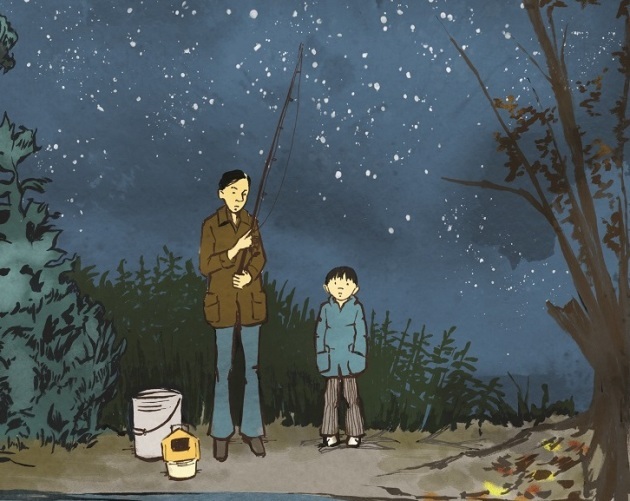 It tells the story of a little boy and his father slipping out of the house early one morning to go fishing. It's a simple, lovely story, shot through gracefully with themes of immigration, hard work, racism and the uniting power of nature. "A Different Pond" was one of two books Bao Phi published this year; the other was "Thousand Star Hotel," a collection of poetry published by Coffee House Press. The Charlotte Zolotow Award is given by the Cooperative Children's Book Center at the University of Wisconsin in Madison. Previous winners and honor books include "Thunder Boy Jr" by Sherman Alexie, "The Dark," by Lemony Snicket, and "This is the Rope" by Jacqueline Woodson.